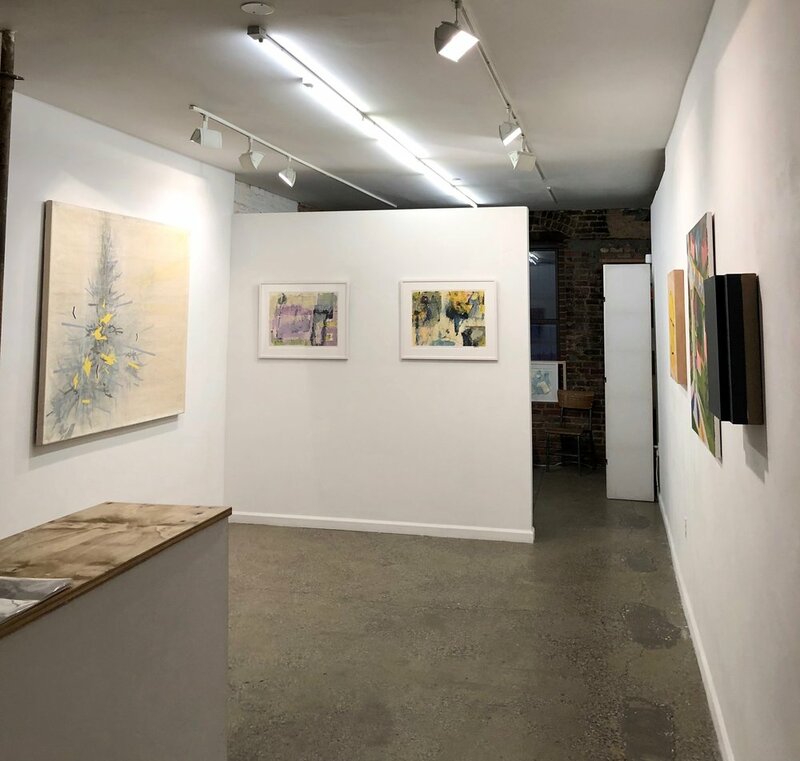 Equity Gallery is pleased to present the 2018 Members Invitational, the latest iteration of our annual juried group exhibition exclusively featuring artwork by New York Artists Equity members. The exhibition will be on view from December 5th, 2018 through January 19th, 2019, with an opening reception on December 5th, 6-8pm. The 15 gifted artists selected to be displayed in this year’s Members Invitational are Nancy Baker, Geoffrey Detrani, Patricia Fabricant, Gordon Fearey, Linda King Ferguson, Ginny Howsam Friedman, Marilyn Kirsch, Esther Podemski, Anne Russinof, Jean Schwinberg, Toni Silber-Delerive, Christopher Stout, Ilene Sunshine, Roland Windecker, and Si Yan Wong. The artwork featured in this exhibition was hand picked by an illustrious panel of jurors, which included David Cohen, the editor, publisher, and frequent contributor of the online magazine, artcritical, and internationally exhibiting painter and educator Fran O’Neill. The 2018 Members Invitational celebrates both New York Artists Equity Association’s legacy and 71 years of history by highlighting the artworks of its current members. Artists Equity was founded in 1947 by over 160 prominent American artists, including art world luminaries such as Jacob Lawrence, Louise Nevelson, and Edward Hopper, and continues to be a influential and guiding organization for artists today. Nancy Baker earned her BFA from the School of Visual Arts, New York, NY. Her work has been widely exhibited throughout the US, including ODETTA Gallery in Brooklyn, NY; Front Room Gallery in Brooklyn, NY; Mark Moore Gallery, CA; Winkleman Gallery,NYC; Schema Projects, Brooklyn, NY; Marcia Wood Gallery, Atlanta, GA; Greenhill Center, Greensboro, NC; Jancar Gallery, Los Angeles, CA; NC Museum of Art, Raleigh, NC; 1708 Gallery, Richmond VA; Heriard Cimino Gallery inNOLA; and Lump Gallery, Raleigh, NC.She has received numerous awards, including two North Carolina Artists Fellowships, a Tennessee Individual Artist Fellowship, and anNEASouthern Arts Fellowship.She was awarded a commission with MTA Arts and Design for two train stations in Brooklyn, which was fabricated in stainless steel. Last year she was commissioned to create a new work for Karen Brooks Hopkins, the Director of Brooklyn Academy of Music.Her work is included in numerous public and private collections including the International Collage Center, Bucknell, PA; US Embassy, Kiev, Ukraine; North Carolina Museum of Art, Raleigh NC;Wellington Art Collection, Boston; Memorial Sloan Kettering; City of Raleigh Municipal Art Collection, Raleigh, NC; MCI Corporation, Raleigh NC; Reynolds Industries, Winston-Salem, NC; Herman Miller, New York, NY; Bellevue Hospital Center, New York, NY;TRW, Cleveland, OH; American Hospital Corporation, Nashville, TN; First Nation Bank, Nashville, TN, among others.She has participated in several artist residencies including Casa de Mateus, Vila Real, Portugal, and Studio Camnitzer, in Valdottavo, Italy. Geoffrey Detrani is a visual artist and writer whose work has been exhibited in New York, San Francisco, Los Angeles, Boston and South Korea and other locales. His artists’ books are in the collection of the Museum of Modern Art, the Brooklyn Museum of Art and the San Francisco Museum of Modern Art. His paintings are in the collections of the New Britain Museum of American Art, the Schenectady Museum, the Transportation Security Administration and various private collections. In 1999 – 2000 he was an artist in residence at the former World Trade Center with a studio on the 91st. Floor. He is the recipient of grants and awards from the New York Foundation for the Arts, the Vermont Studio Center, the Brooklyn Arts Council, the Bronx Museum, the Helene Wurlitzer Foundation, the State University of New York Foundation, the Center for Book Arts, the Lower Manhattan Cultural Council and the Aldrich Contemporary Art Museum, the Manhattan Graphics Center and the Center for Book Arts. He is a 2012 and 2018 recipient of the Connecticut Artist’s Fellowship Award. 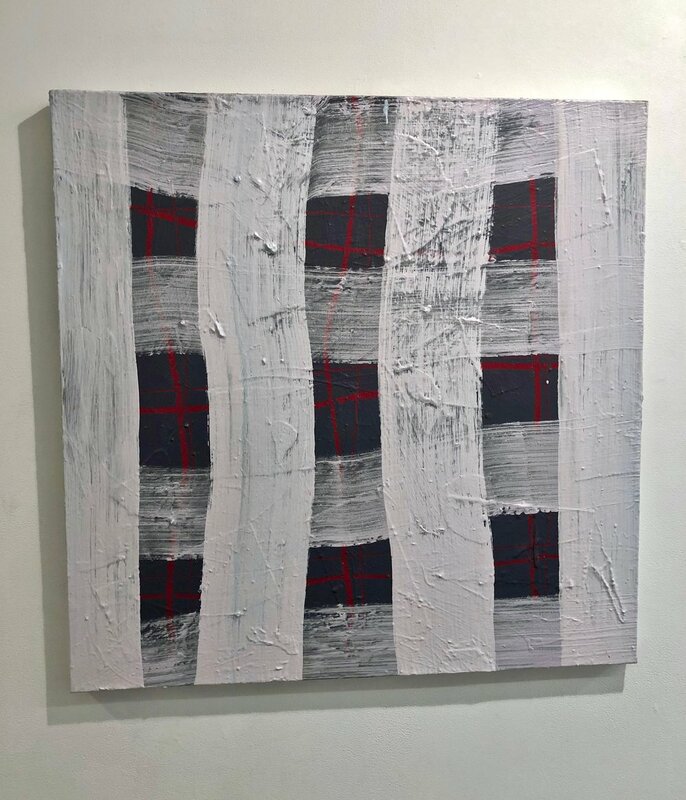 He is affiliated with K. Imperial Gallery in San Francisco, and Amy Simon Gallery in Westport, CT.
Patricia Fabricant is a painter and award-winning book designer, born in New York City. She received her BA from Wesleyan University and studied painting in Florence Italy, through the Syracuse University program. 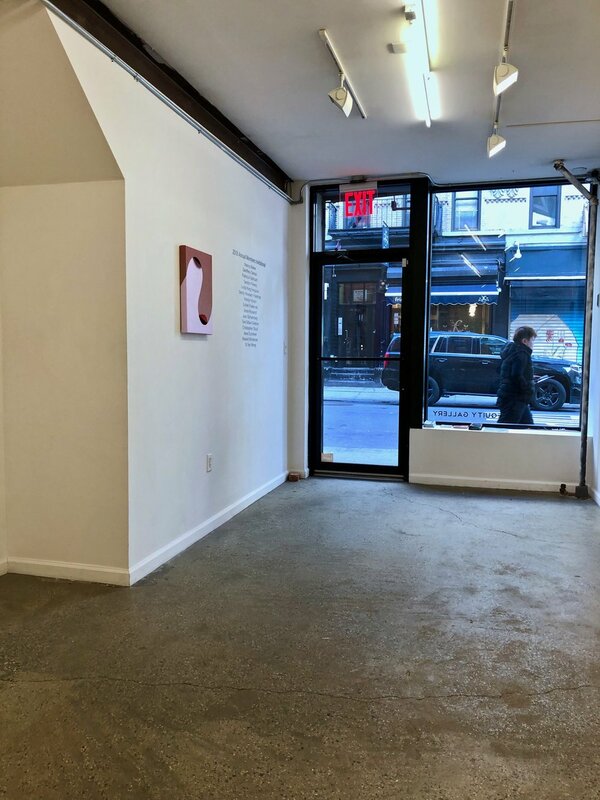 Her abstract paintings have been exhibited widely at such galleries as David & Schweitzer Contemporary, Schema Projects, Sideshow and Front Room in; Morgan Lehman, the Painting Center and the National Arts Club in New York; and Geoffrey Young Gallery and No. 6 Depot, in the Berkshires. She recently began working figuratively both on a series of political pieces, called Paper Dolls, and on her most recent self-portraits, which she began in response to the recent election and its aftermath. She lives in Brooklyn and shares astudio at the Elizabeth Foundation, in Manhattan. Gordon Fearey is a painter living in the lower Hudson Valley who works in oil and watercolor. His abstractions often take years to make. Immersed in his materials, Fearey applies multiple layers to any given painting that encompass the extremes of his personality, from order to uncontrollability. 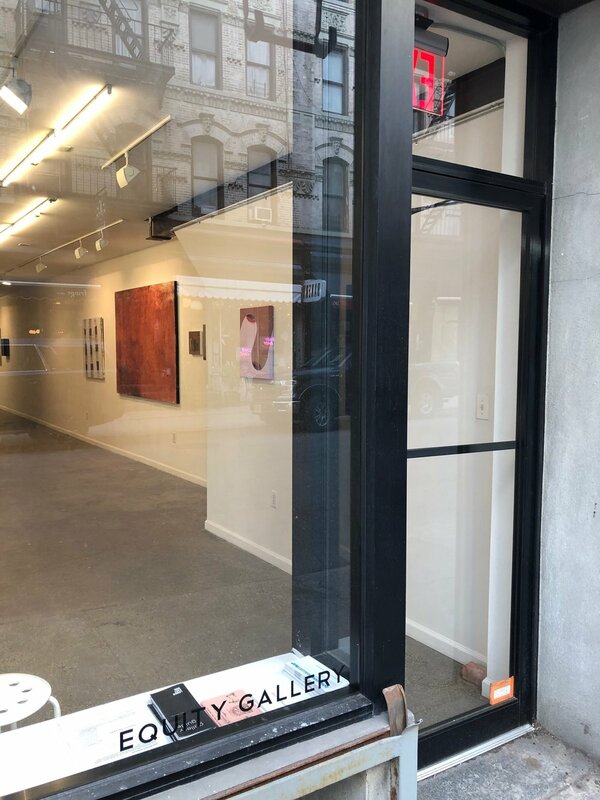 Fearey has exhibited at The Drawing Center, The Painting Center, David & Schweitzer Contemporary and the Maryland Institute College of Art. Linda King Ferguson lives and works in Munising, MI and Nashville, TN. She is in residence semi annually in Brooklyn, NY. She has a MA from Rhode Island School of Design, and received an MFA from Vermont College of Fine Arts. She also has studied at Academia Di Belle Arti in Perugia, Italy, and Penland School of Crafts. Ferguson has been awarded several art residencies including Ragdale and The Morris Graves Foundation and exhibited widely, including the exhibitions, Fiber Optics, Minus Space, Brooklyn, NY and Stomach Acid Reflux,the fourth online White Columns exhibit curated by Ellie Rines. 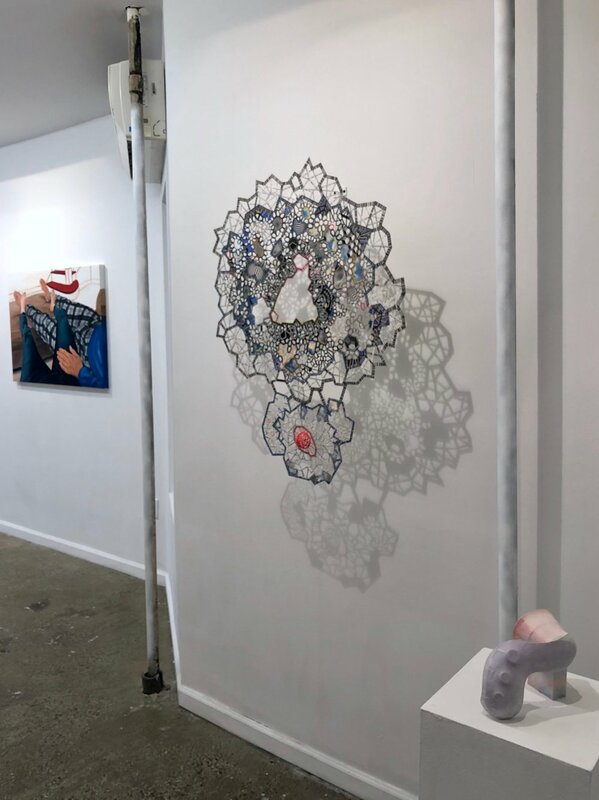 She recently had solo exhibitions at Bay College and Michigan Technological University and was awarded a Personal Development Grant from the State of Michigan. Ferguson’s work has been included in many private and public collections and reviewed in several publications including New American Paintings, Vol. 113, curated by Stacie Boris. She has an affiliation with Minus Space, Brooklyn, NY and her work can be found on the White Columns Artist Registry. Ferguson is Founder and Director of The Bakery, a non-profit, artist run project space in Munising, MI, and as contingent faculty she taught at Northern Michigan University. Ginny Howsam Friedman is an oil painter and printmaker who lives and works in the Bronx and Upstate New York. After graduating from Pratt Institute she worked as an art director at the advertising agency Ogilvy and Mather. Over the next 25 years she worked for many advertising agencies. Always painting and drawing when Friedman stopped working in advertising in 2001 she started painting full time. She grew up Upstate and nature has always been an important part of her life. She lives in Riverdale in the Bronx with a view of the Hudson and the New Jersey Palisades. She feels lucky to live in the most exciting city in the world and yet be surrounded by nature. Marilyn Kirsch has been making art professionally for over 40 years. In 1973 she received her BFA in Painting and Printmaking from Massachusetts College of Art in Boston. In 1976 she received her MFA in Painting from the School of the Museum of Fine Arts, now called The School of the Museum of Fine Arts at Tufts, also in Boston. Kirsch also studied welding and was making sculpture in addition to her painting from 1990-1995. In addition to painting, she has always been interested in photography. Over the past several years her digital photographs and digital photo-collages have become an integral part of her work as an artist.Her work has been exhibited throughout the United States, including New York, Philadelphia, Boston, Palo Alto, Santa Barbara, Albuquerque and Iowa City. She has exhibited her work Internationally including group exhibitions in Marseilles, France and Bogota, Colombia. Her solo exhibitions include shows at the Philadelphia Art Alliance, Akar Architecture & Design in Iowa City and the University of Szeged in Hungary.Her work is included in many private and corporate collections. Esther Podemski is a filmmaker and visual artist whose works have been exhibited in galleries, film festivals and academic venues. House of the World, her documentary about the aftermath of the Holocaust, was shot in Poland and has been showcased in European and American art centers and festivals, including Human Rights Watch International Film Festival, Lincoln Center, and Los Angeles International Jewish Film Festival. Discovery Communication and Jewish Broadcast Network purchased the film for broadcast. Podemski has exhibited her paintings in the Pacific Northwest and in New York City. Her grants include the New York State Council on the Arts, The Jerome Foundation, The Soros Foundation, The Memorial Foundation For Jewish Culture, and the Yaddo Residency Program. She has taught graduate and undergraduate courses at Parsons School of Design in New York, Pacific Northwest College of Art, and Sarah Lawrence College. Recent exhibitions include 5 Days in July; a two-screen projection that revisits the Newark riots of 1967. This work has exhibited at numerous museums, galleries, and festivals. It won the director’s choice award at the Black Maria Film Festival and the jury award for the best short at The Langston Hughes African American Film Festival. Anne Russinof lives and works in Brooklyn, NY. Originally from Chicago, she is a graduate of the School of the Art Institute of Chicago and received an MFA from Pratt Institute. Russinof has been a resident at the Yaddo and Millay Art Colonies, and is a member of American Abstract Artists. Supporting herself as a designer for print and web, she also maintains a blog called Gallery Travels that features mostly abstract painting shown in NYC. Her work is available online at IdeelArt, 1stdibs, Artsy and more, and she recently completed a suite of etchings at VanDeb Editions. Jean Schwinberg received her BFA in Painting from University of Washington and her MFA in Painting from Yale University. Her artworks are primarily still lifes. Schwinberg’s work has been exhibited in galleries such as 22 Wooster, New York, NY; A&A Gallery, New Haven, CT; and Gallery 148, New Haven, CT. She has been the recipient of awards such as the Ford Foundation Grant for Printmaking. Schwinberg is currently based out of Seattle, WA. Toni Silber-Delerive was born in Philadelphia, studied painting at the Philadelphia College of Art, graphic design and silkscreen printing at the School of Visual Arts in NYC, and received a BA in Art Education from Kean College in NJ. The Manhattan-based artist’s work is represented in museums, private and corporate collections. She has has been featured in many exhibitions, including solo shows in New York such as, the National Arts Club, Rockefeller Gallery, NY Studio Gallery in Chelsea, James Beard House, Interchurch Center, Blue Hill Plaza, Adelante Gallery and Speakeasy Gallery and group shows at Van der Plas, Curate NYC, Blue Mountain, Prince Street, Dacia Gallery, The Chelsea Art Museum, Kaller Fine Arts in Washington, DC. In NJ, George Segal and Riverside Gallery. Christopher Stout was born and raised in Maryland and lives and works in New York City. He is an abstract reductive artist, whose work concerns a dance between the questions of, “what is the construct of painting?” and “what is the construct of sculpture?” His quest is the additive outcome in merging the vocabularies of both disciplines. He lives in the West Village neighborhood of Manhattan, and works from his artist studio in the Brooklyn Fire Proof Warehouse in the dynamic artist neighborhood of Bushwick, Brooklyn. Stout is also the founder and director Art During the Occupation Gallery in Bushwick, NY, as well as the founder of Bushwick Art Crit Group (2013-2016.) He has accomplished around 200 gallery performance/exhibitions, with 15 solos and 14 completed bodies of work. He is currently working on a solo exhibition and book project titled, “Standing on the Shoulders of Queer Martyrs and Saints to be presented at Lichtundfire in October 0f 2019, In addition, Stout holds collectors and work in 23 of the continental 48 states. Christopher Stout actively donates his art to support New York City not-for-profit 501(c)(3) visual arts organizations, including Arts in Bushwick, NutureART, and Visual AIDS. Stout's modus operandi is, "love and solidarity for the arts, and love and solidarity with New York artists." Ilene Sunshine is a New York City-based artist who uses an array of eclectic materials—leaves, plastic bags, discarded toys, scavenged tree branches—to explore the interface of nature and culture. Ranging from large-scale site projects to intimate works on paper, her work has been exhibited widely in the U.S. and internationally—and is in various collections including the Victoria and Albert Museum (London, UK), and Memorial Sloane-Kettering Cancer Center (NYC). She has received fellowships from the New York Foundation for the Arts, Dieu Donné Papermill, The Constance Saltonstall Foundation, The MacDowell Colony, and Ucross, among other awards. Roland Windecker was born in 1959 and grew up in Dallas. Texas. He received an Associates Degree in Graphic Communications from Eastfield College (Dallas County Community Colleges). He was motivated by the art and instruction from artists of some national acclaim such as Linnea Glatt and Bill Komodore. Although never really on the inside of the art community, he has continued to experiment and strive diligently to achieve paintings that work. He now lives in New York City and is grateful to live where great art is so accessible. 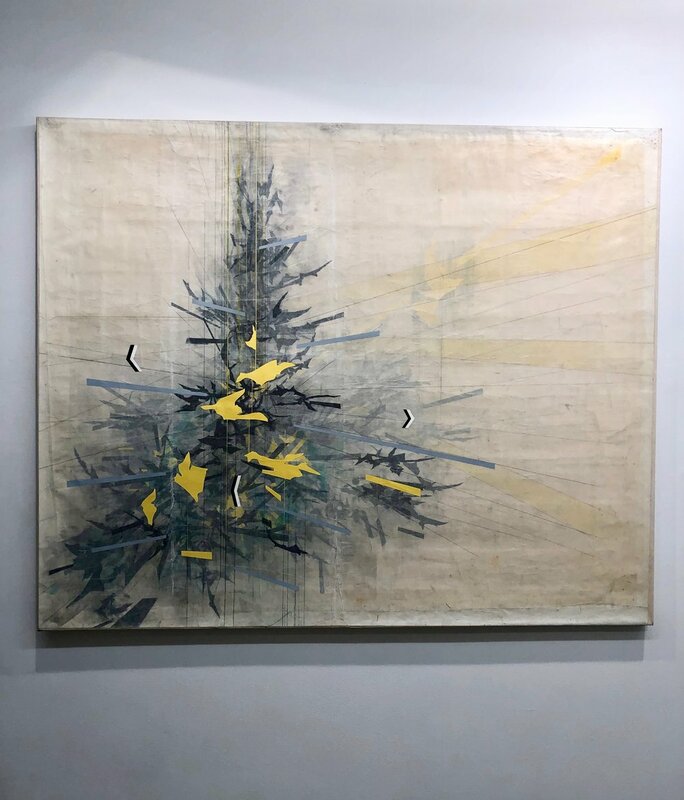 Si Yan Wong is primarily an oil painter whose socially-engaged art practice invites reflections and conversations into the contradictions and the unseen present in the everyday. Her current and on-going projects include "Five Cents A Can: Making Visible the Invisibles.” It focuses on the people who survive on picking up cans and bottles (the "canners") and their existence in a city with many of the "haves." She is also working on a project called “Home: With and Without" that focuses on privacy and intimacy that naturally occur in the homes and the psychological impact on those without a home. These projects invite the viewers to reflect and to experience emotions derived from juxtaposing familiar sights and images that are normally encountered in different spaces. She is launching her first solo exhibition of the canners in a pop-up cafe on December 8, 2018. She is currently collaborating with other media artists to complete a short film called "Five Cents A Can: Making Visible the Invisibles by a Painter." Fran O’Neill is a New York-based abstract painter and educator. She has exhibited her artwork across the United States and internationally. Recently, she has been featured in group and solo exhibitions at venues including but not limited to TW Fine Art in Brisbane, AUS; David&Schweitzer in Brooklyn, NY; Life on Mars in Bushwick, NY; McKenzie Fine Art in New York, NY; and Museum of Contemporary Art-MOCA in Jacksonville, FL. O’Neill has been the recipient of several awards and honors, such as the Acker Award, the Shaw Award, and the Joan Mitchell Foundation Award. She currently teaches at the Art Students League, and has taught at the Pratt Institute, New York Studio School, and Brooklyn College. O’Neill received her BFA and Post-Grad at Monash University in Melbourne, AUS and her MFA at Brooklyn College. She currently lives and works in Brooklyn, NY and Long Island City, NY.